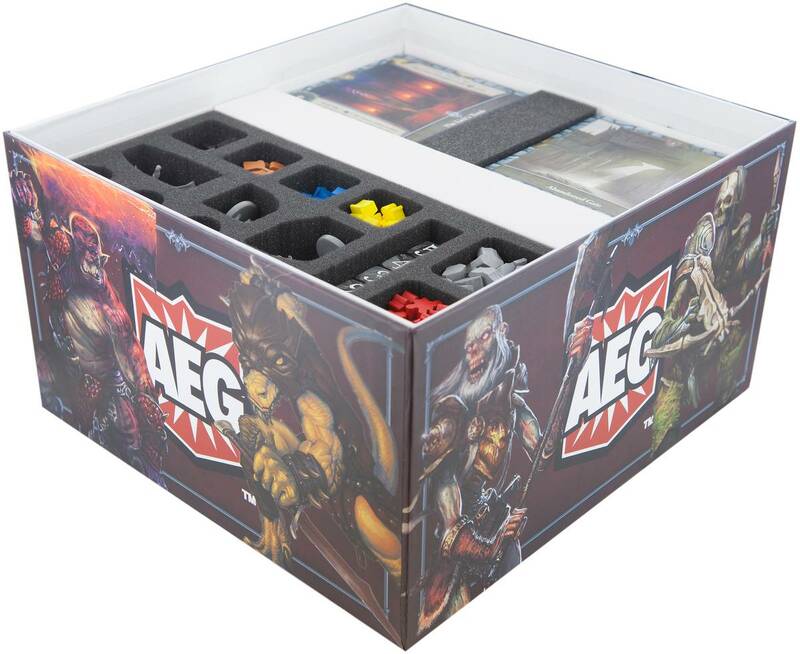 The foam tray is specially designed for the original board game box. The inlay is developed for the six Player Champions, dice and all the token. Each type of token has its own slot. The foam fits exacty in the slot which its intended for the miniatures and marker in the official division of the box. The foam closes flush with the divider for the Dungeon Rooms. 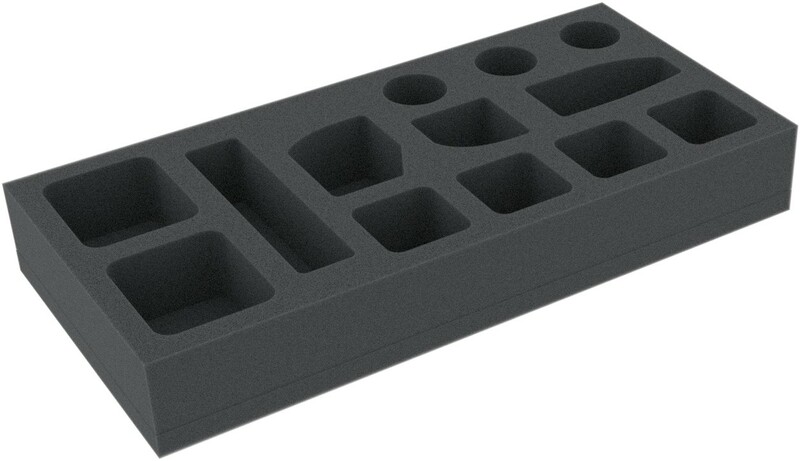 With the order you get a topper for both compartments (Dungeon Rooms, miniatures, tokens, dice).